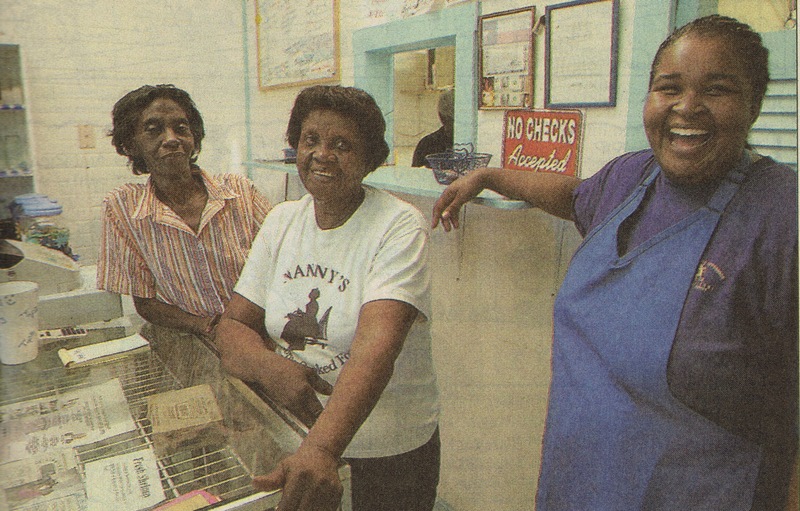 Sunday always meant supper at Ella “Nanny” Brown’s house in the St. John’s neighborhood in Northeast Austin. After church, Nanny would continue the tradition started by her mother Minnie “Granny” Shaw, now 88, and serve up quite a spread for relatives and neighbors. The feast often contained smothered pork chops, meatloaf, chicken and dumplings, cabbage, pigs feet, sweet potatoes, biscuits and cornbread, topped off by her trademark vinegar cobbler and German chocolate cake. Police officers were welcome, and they’d often stop by for this scrumptiously backyard banquet. As Ella and her three daughters would be cleaning up in the kitchen, guests would invariably pop in and say, “You know, Nanny, you really oughta open up your own restaurant,” and the small woman with the big brown eyes would nod. When she left her job cooking at the Martin Luther King Hospital in Dallas in 1983, Nanny said she’d never cook for anyone besides herself again. Before moving to Dallas with her family in 1970, she’d worked in Austin at the Ellis Cafe, Luby’s, Chuckwagon Restaurant, St. David’s Hospital and other eateries. Cooking was always a job that came easy to her. But she missed the satisfaction of preparing meals her way, with her recipes, for a room full of people who savored the food as a sacrament, who came from all over to eat because it was Nanny who was cooking. From 1983 until 2001, Nanny worked as a domestic for a few families in West Lake Hills. She did the cleaning and raised kids and, occasionally, she’d bake a cake or make peach cobbler for a special occasion. But she tired of the commute, was unfulfilled by the work and retired. Then, one day last year, her daughter Claudia Brown, who works for the Austin Police Department, came across a storefront at 1815 Rosewood Ave. with a “For Rent” sign in the window. A former ice cream shop that had been empty for years, the place was piled with junk and layered with dirt and grime. Nanny was a little taken aback by the mess at first, but she could see beyond the dusty clutter and visualize a homey kitchen where she could cook and a small dining area where the folks would eat her food and make her feel better by coming back. Youngest daughter Jessie Mae Brown, who runs the Noticeable Difference cleaning service, got one of her clients, the Sunrise Community Church, to donate tables and chairs for the dining room. The Browns also found a couple of used stoves, though one of them doesn’t work anymore and the other’s oven door doesn’t have handles, so Nanny has to pry it open from the side. All told, the family scraped together $6,000 to help Nanny fulfill her childhood goal. “I was here every day when she first opened,” says local tavern owner R.G. “Rabbit” Duran, who sat down to lunch at Nanny’s recently with friend Martin Rangel. Patting his stomach, he adds that he had to cut down to twice a week because he was gaining weight. With its menu of meats smothered in gravy and rich mashed potatoes, Nanny’s is not for dieters. This isn’t heart food, it’s soul food. “Nothing here is instant, it’s all home-cooked,” Duran says. But on a recent Wednesday, Duran and Rangel were the only lunchtime diners at Nanny’s. Business has been slow, says Nanny’s brother John Shaw, who runs the big barbecue pit in the back. They tried serving breakfast, Nanny’s forte, according to Shaw, but nobody came in. They opened on Saturday’s for a while, but the income barely covered utility bills. Nanny’s oldest daughter, Linda Coleman, who often runs the counter, aided by her 6-year-old grandson, Xavier, says $200 is a good day at the restaurant, which doesn’t have a prominent sign, so it’s easy to miss. It’s hard work, running a restaurant, and Nanny arrives at about 7:15 a.m. to start preparing the food and making sure everything’s in running order. By 9, all the day’s main dishes are in the oven, and then she starts making her biscuits and cornbread. Nanny’s work day isn’t over until 5:30 or 6 p.m., as she, Linda and John scrub the place good. Nanny says she’s got an alarm clock built into her mind. 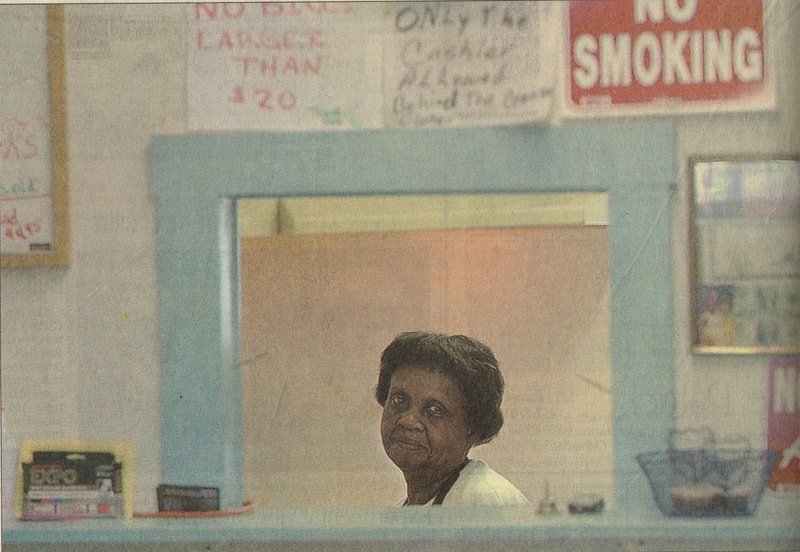 “I’ve woken up at 5:30 in the morning every day, for as long as I can remember.” Her mother woke up every morning at 5 to make breakfast for her husband, a truck driver, and the smell of cheese grits, pork chops and eggs would stir the young Ella from her slumber and she’d soon be in the kitchen helping her mother. “Ella was always hanging on our mother’s dress tail,” John says with a laugh. Cosmetology was a way to make money after graduating from high school, so after taking hair and makeup courses, young Ella worked for several years at a beauty shop in East Austin. Then came the succession of cook jobs. Everyone wants to know the secret to the icing on her German chocolate cake. They want to know how she makes such flavorful gravy. Nanny remains stubborn on the subject. “When you’re a cook, your secrets are what sets you apart,” she says. Nosy guests occasionally will come in the kitchen while she’s cooking at home and make mental notes of her ingredients. “Sometimes I’ll have them fetch something from the fridge and then I’ll throw in some spices when they’re not watching,” she says.